Lock in a great price for CAN MIRÓ – rated 9.4 by recent guests! Featuring a garden, private pool and mountain views, CAN MIRÓ is located in Montecristo. With pool views, this property provides a terrace and a swimming pool. This air-conditioned villa comes with a seating area, a kitchen with a dishwasher, and a satellite flat-screen TV. The property also features a bathroom with a hot tub. The villa has a grill. Guests can also relax in the shared lounge area. Ibiza Town is 2.9 miles from CAN MIRÓ, while San Antonio is 8 miles away. Ibiza Airport is 7 miles from the property. This property also has one of the top-rated locations in Montecristo! Guests are happier about it compared to other properties in the area. This property is also rated for the best value in Montecristo! Guests are getting more for their money when compared to other properties in this city. When would you like to stay at CAN MIRÓ? This villa has a kitchen, toaster and washing machine. La villa es una antigua casa ibicenca construida con mucho cariño por mi padre. Algunas zonas de la casa han sido renovadas.Es la casa donde crecí con mi familia. Está situada en un lugar muy tranquilo situado en el campo a poca distancia del centro de Ibiza. Mis padres viven muy cerca de la casa y están disponibles para cualquier cosa que puedan necesitar. La casa ha sido decorada con obras de arte de la familia y de otros artistas de la isla, con un estilo cosmopolita. Esperamos se sientan como en casa y puedan disfrutar de la isla. Vivo muy cerca de la casa y me gusta disfrutar de la tranquilidad del campo. El vecindario es muy tranquilo, fácil de encontrar la casa desde la carretera y a corta distancia de Ibiza ciudad. Hay un centro comercial a 5 minutos conduciendo y restaurantes en Puig den Valls. House Rules CAN MIRÓ takes special requests – add in the next step! A EUR1000 damage deposit is required 14 days before arrival (about USD1125.50). This deposit will be fully refunded 7 days after check-out, as long as there isn't any damage to the property. Please inform CAN MIRÓ of your expected arrival time in advance. You can use the Special Requests box when booking, or contact the property directly using the contact details in your confirmation. A damage deposit of EUR 1000 is required. The host charges this 14 days before arrival. That's about 1125.50USD. This will be collected by PayPal. You should be reimbursed within 7 days of check-out. Your deposit will be refunded in full by PayPal, subject to an inspection of the property. Super nice Villa with all necessary facilities. Location was even better as only max 10 minute drive to all places in IBZ. Would recommend it to everyone who wants to experience Ibiza together with friends, combining a nice large place to stay with private pool. Will be back for sure! The villa was spotless clean with excellent facilities. 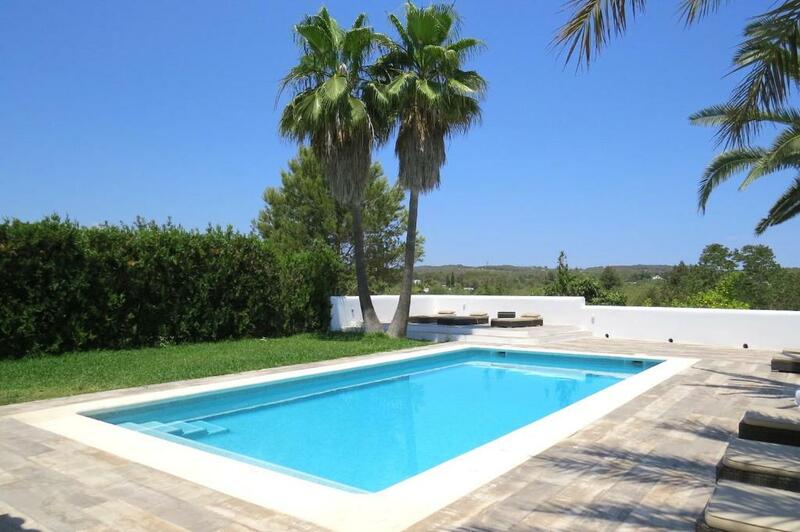 It was in the perfect location so peaceful and quiet in the day yet a short drive to Ibiza town and the beaches. The pool is amazing with plenty of sun loungers. The host was so friendly and informative. i would highly recommend this property.